For strength and dependability, look no further than the 2017 Ford F-150 XLT. With a focus on the practical, while providing comfort and style, this two- or four-door truck delivers. With an available seating capacity of up to six, this pickup gives you the option of a Regular Cab, SuperCab or SuperCrew Cab and box sizes of 5’1/2”, 6’1/2” or 8’. Proudly displaying the Ford emblem, a chrome three-bar grille provides an aggressive first impression for the 2017 Ford F-150 XLT. Sporty style comes with the 17" silver painted aluminium wheels and chrome bumpers which contrast the bold colours of this truck. Fog lights and a cargo light are standard on this model to enhance visibility when you need it. Halogen headlights brighten your way while front tow hooks expand the versatility of this truck. Also standard is a power locking tailgate for added reassurance. 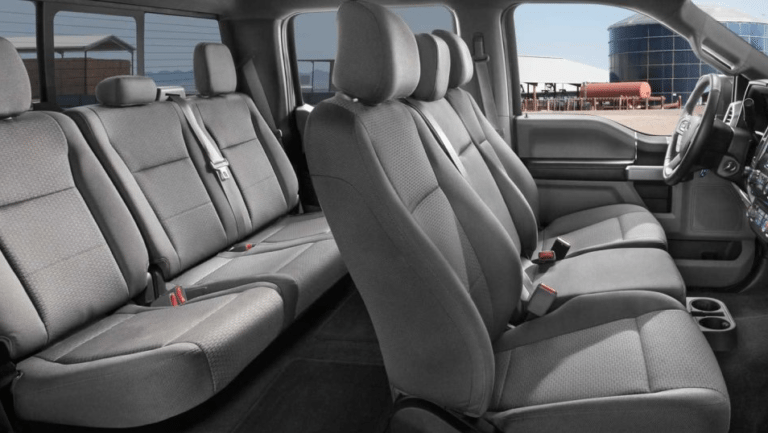 Practical design continues inside the 2017 Ford F-150 XLT with a front bench seat in cloth material as standard. You can upgrade to bucket seats with a flow-through centre console. Available heated power seats ensure optimal positioning and comfort for all of your journeys. This model also includes cruise control and air conditioning as standard. Simplify the loading and unloading of cargo with the flat-load floor on the SuperCab and SuperCrew Cab models. 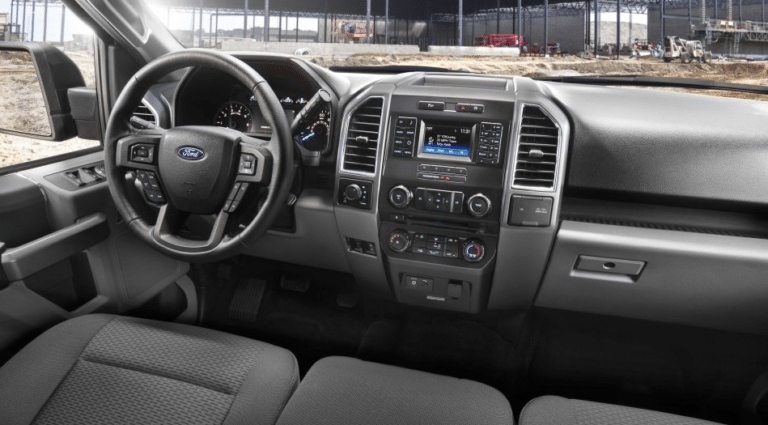 Modern technology keeps you focused and safe while offering premium entertainment on the 2017 Ford F-150 XLT. MyKey is standard, which allows you to set limits for vehicle speed and radio volume when someone else is driving. The available reverse sensing system includes a rearview camera and sensors to assist when you’re backing up. This truck comes with a radio and single CD player as well as SiriusXM satellite radio to expand your media options. SYNC is standard, or you can upgrade to SYNC 3 with voice-activated navigation. Easily customize the 2017 Ford F-150 XLT to make it represent your unique personality. You can even switch out the grille to a billet style or change to body-coloured bumpers for a stylish look. Enhance the functionality of this truck with a tailgate step, stowable loading ramps and running boards. Experience just the right amount of power in the 2017 Ford F-150 XLT with four engine options. Whether efficiency or power are your focus, this truck has you covered. Paired with an electronic six-speed automatic transmission, you can enjoy smooth handling. This model also comes with Sport Mode for a sportier feel and Tow/Haul mode for those practical journeys. An electronic shift-on-the-fly makes it easy to switch into 4x4 mode when you need it. An independent front suspension provides stability when driving empty or pulling a heavy load. 2.7L EcoBoost 4x2 3.73 13,300 lbs 8500 lbs. 2.7L EcoBoost 4x4 3.73 13,300 lbs 8400 lbs. 3.5L EcoBoost 4x4 3.73 17,100 lbs. 12,100 lbs. 3.5L Ti-VCT V6 4x2 3.73 9,400 lbs. 7600 lbs. 3.5L Ti-VCT V6 4x4 3.73 12,200 lbs. 7500 lbs. 5.0L V8 FFV 4x4 3.73 16,200 lbs. 11,000 lbs. Award-winning design and performance enhance the appeal of the 2017 Ford F-150 XLT. 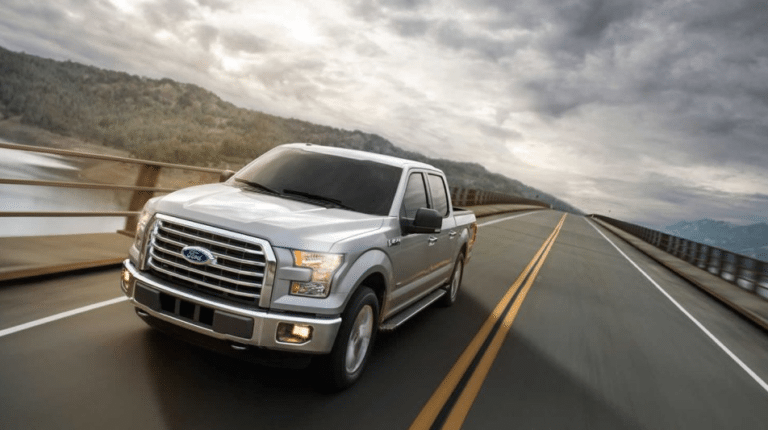 Feel secure behind the wheel of the 2017 Ford F-150 XLT with the latest safety features. Every 2017 Ford F-150 XLT is backed by Ford’s superior warranty. With a focus on versatility and capability, the 2017 Ford F-150 XLT proudly carries the Built Ford Tough image. At the same time, you won’t lack for comfort or style in a truck that proves it is possible to have it all. For work or play, this model is ready to deliver. Visit your local Vernon Ford Dealer – Watkin Motors Ford to find out about the 2017 Ford F-150 XLT and all it can do for you. Talk to the helpful sales staff to determine which options and packages will enhance your life. 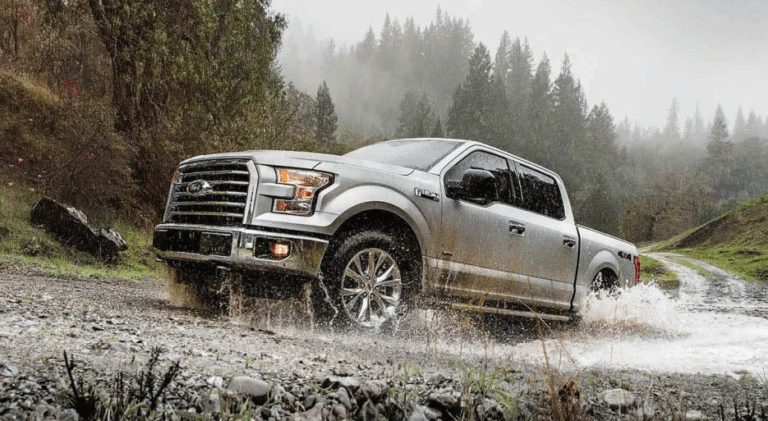 Trust Watkin Motors Ford for your next new Ford truck.